Oxidation of cholesteryl esters in lipoproteins by reactive oxygen species yields cholesteryl ester hydroperoxides (CEOOH). 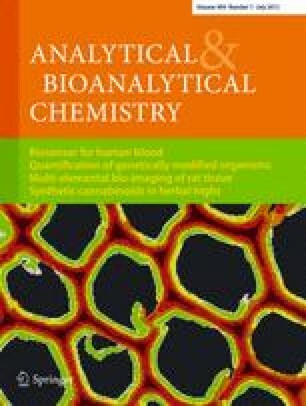 In this study, we developed a novel method for identification and characterization of CEOOH molecules in human lipoproteins by use of reversed-phase liquid chromatography with an hybrid linear ion trap–Orbitrap mass spectrometer (LC–LTQ Orbitrap). Electrospray ionization tandem mass spectrometric analysis was performed in both positive-ion and negative-ion modes. Identification of CEOOH molecules was completed by use of high-mass-accuracy (MA) mass spectrometric data obtained by using the spectrometer in Fourier-transform (FT) mode. Native low-density lipoproteins (nLDL) and native high-density lipoproteins (nHDL) from a healthy donor were oxidized by CuSO4, furnishing oxidized LDL (oxLDL) and oxidized HDL (oxHDL). No CEOOH molecules were detected in the nLDL and the nHDL, whereas six CEOOH molecules were detected in the oxLDL and the oxHDL. In positive-ion mode, CEOOH was detected as [M + NH4]+ and [M + Na]+ ions. In negative-ion mode, CEOOH was detected as [M + CH3COO]− ions. CEOOH were more easily ionized in positive-ion mode than in negative-ion mode. The LC–LTQ Orbitrap method was applied to human plasma and six species of CEOOH were detected. The limit of detection was 0.1 pmol (S/N = 5:1) for synthesized CEOOH. This study was supported in part by Sapporo Biocluster “Bio-S”, The Regional Innovation Cluster Program, The Ministry of Education, Culture, Sports, Science and Technology, Japan, and by a grant-in-Aid from the Japan Society for the Promotion of Science, Japan.